Before we jump directly into the potential benefits and issues surrounding crowdfunding, let’s clarify exactly what we are talking about. Crowdfunding within the life science arena can be divided into two categories: equity crowdfunding and philanthropic crowdfunding. The latter is typically donations to companies developing therapeutics or medical devices. This philanthropic concept isn’t particularly new, and has been a key source of funding for moving science forward for decades, because there is no risk or upside reward on the part of the donor. Equity crowdfunding, however, refers to an instance where the contributor is given an equity stake in the emerging life science company raising money. The passing of the JOBS act has allegedly allowed this activity as a fundraising tool for private companies. Simple enough, right? Well, don’t be so sure, because the equity share is defined as a “security” by the SEC and FINRA, which makes the selling of equities fall under these regulated government agencies. This becomes an issue when taking into account that direct investment in private companies is a risky endeavor, and federal and state laws have heavily enforced regulation on exactly who can invest – typically, only those above a certain income and net worth can be deemed an “accredited” investor. Crowdfunding, however, has created an opportunity for the smaller players to access high risk / high reward investments, which were previously only available to investment funds or high-net-worth individuals. The reason for all these rules and regulations in the first place was to protect vulnerable consumers from predatory financing opportunities that would be hard to understand, and net out the risks of an investment. There is an obvious potential benefit to entrepreneurs looking to raise capital, as this opens up a significant pool of potential financing, but the water is murky – both on the regulatory side, and in terms of problems inherent in the crowdfunding model. The regulatory piece is most interesting, because there is an inherent contradiction in what is considered legal under SEC/FINRA vis-à-vis the JOBS act, which the regulatory authorities have been vague about so far. Beyond the regulatory piece, however, there are a significant number of inherent problems with the crowdfunding model. The most significant is that a company that has used crowdfunding now has hundreds (potentially thousands) of investors to maintain a dialogue with. This is simply not feasible for most emerging biotechs, who have bigger problems to address than holding the hands of uninformed investors. Given the fact that the life sciences space is highly technical and complex, it isn’t possible educate a pool of people who don’t understand the science behind a particular technology. This also makes it almost impossible to effectively communicate the scientific risks involved in an investment. Secondly, the amount of capital required to move products forward in life sciences is often massive, and it is highly unlikely that crowdfunding could meet this need. This means not only being exposed to potential regulatory issues, but also having to carry hundreds of investors along through subsequent capital raising rounds. There may be a place for crowdfunding in helping emerging biotechs and medtechs get off the ground, but as with everything else in the world, if it sounds too good to be true, then it probably is. In short, the regulatory environment remains unclear, but this isn’t the core issue surrounding the feasibility of crowdfunding in life science sector. In my opinion, the main issue is that professional life science investors are a small minority because of the difficulty in parsing new technologies in a rapidly changing landscape. 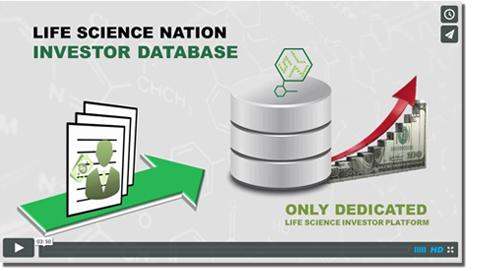 These life science investors have PhDs and a network of highly experienced researchers & market valuators that add to the cost of the risky business of life science investments. The resources required to educate and maintain a dialogue with a pool of hundreds or thousands of unsophisticated investors is a daunting task. Though equity crowdfunding may be effective for other industries, the complexities and problems inherent in the model make it extremely challenging for life science entrepreneurs. The jury is still out, the firmament is moving, and the fog has not lifted.